Have you ever worked for a project manager and had the feeling that you could bring more to the job than them? This isn’t uncommon, for those of you who are motivated, interested and, above all, organised, project management is a tempting career and one that you should be considering especially if you fancy a career change. Project management however isn’t just about personal skills; project managers need expertise in their own field and they need to understand a certain amount about management theories and how to use project management tools. Could you become a Project Manager? One of the best ways to find your way into project management is to study project management online. Before you take your project management course however you need to decide whether or not you have what it takes to become a project manager. We have 5 questions to help you decide. This isn’t a women versus men question, some of us, male or female are better at multitasking than others. The ability to multitask is a necessity for all managers but for project managers it is even more important to be able to put aside what you are working on and then pick it up again once a query, request for help or project emergency has been dealt with. These interruptions can be frequent and, if you go into project management, the word ‘urgent’ may become one that you hear many times a day. Can you measure the importance of incoming work? The ability to measure the importance and necessary time scales of incoming tasks is something that, to some extent, can be learned but elements of this should already be part of your personal tool kit if you are considering project management as a career. Project Managers need to have this particular skill, or develop it. Do other tasks depend on the completion of this one? Does a lengthened completion time for this task have a significant financial impact? Can the responsibility for finding a solution to this issue be safely delegated? What will the impact be to personnel if this task isn’t completed? The ability to prioritise is important to all aspects of life. Upskilled has published 10 tips to help you prioritise more effectively. Are you good at dynamic planning? It starts to rain just as you set off for a walk. Do you give up on the idea or pick up an umbrella and choose a shorter route? Your manager is off sick and going to miss a meeting you were planning to taking together. Do you cancel the meeting or find your manager’s planning notes and go ahead? You are about to take a conference call with colleagues in an out of town office and an important prospective client walks into reception. Do you ask him to wait until you have finished your conference call or invite him into your office? For any manager, the reality of delegation is that it is a fine balancing act between trusting staff to get on with what they are good at and keeping a firm hand on the reins. A project manager is only as good as the personnel he or she employs and failing to allocate tasks instead of doing them yourself can be damaging to both morale and project stability. Dwight D. Eisenhower made comment on the art of delegation, which recognised the sometimes-tricky path that project leaders tread. You will know if you are a good delegator because your colleagues will feel encouraged enough by your delegation to offer their services when they think you need them. Are you prepared to learn new tricks? If project management sounds like it might be for you then we recommend undertaking an online project management course. By studying project management online whilst continuing to work for your current employer, you will not only be upping your own skill level, you will be demonstrating your commitment to learning, multitasking and dynamic planning (all key project management skills) to prospective employers. Upskilled offers 3 online project management courses from Certificate IV to Advanced Diploma level. Certificate IV In Project Management (BSB41515): This online project management course consists of 9 units of competency including leadership in the workplace and project time-management techniques. 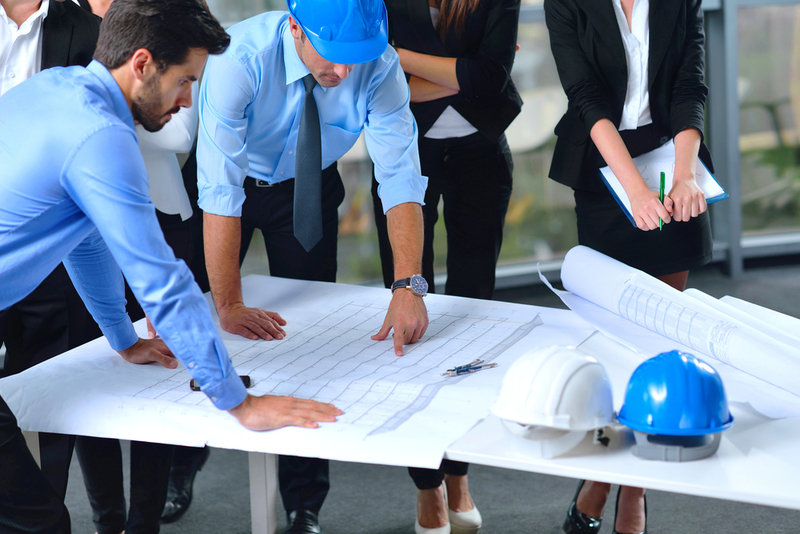 Diploma of Project Management (BSB51415): This course is for those with some management experience and builds on existing knowledge whilst offering a more sophisticated understanding of current project management tools, techniques and methods. Advanced Diploma of Program Management (BSB61218): This course prepares project managers for the transition to program manager. Program managers oversee a number of projects that are related to each other through a grand plan. Units cover more complex approaches to project management including: collaborative alliances, the development of business cases and program leadership. Ready to investigate your options in project management? For free and friendly advice about our project management and other online courses that might help you move towards a new career or advance in your existing one please get in touch with Upskilled's Education Consultant team today.